Now we're in the midst of autumn there's never been a better place to be than on the edge of Cornwall's coastline, with quieter beaches and relaxing calmness that falls upon the town you're able to experience Cornwall at its finest from the Sail Lofts luxury self catering accommodation in St Ives. Being beside the beach allows you to step outside and discover what makes the county so unique, lengths of golden sand across the Blue Flagged Porthmeor is a sight to behold on an early autumnal morning, not a person in sight it's almost as though the beach is entirely yours. 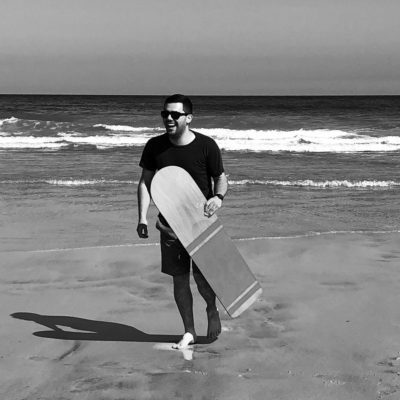 Once the summer has passed us by the waves across the beaches of St Ives are perfect to begin or continue the long-held tradition of surfing in the town. While the summer brings the warmth of the temperature in the ocean up it's not always the time with the best waves - enter autumn. More wetsuit weather the months of September and October bring with them some of the best waves the beaches have to offer and whether you're an experienced pro or starting out for the first time the St Ives Surf School are at hand to help you along the way. With wetsuit and board hire you can take those first steps to becoming an experienced surfer on your luxury self catering holiday in St Ives. When October hits the beach ban for our four-legged friends ends, leaving the Sail Lofts luxury dog friendly accommodation in St Ives the best way to bring all of the family to this spot on the Cornish coastline. Start out on Porthmeor for an early morning stroll or, should you be feeling adventurous make your way across the coast and discover the unique and varied landscapes that Cornwall's coastline can offer. Taking things a bit easier you can journey into town from your luxury apartment in St Ives and enjoy a mid-morning brunch overlooking the sands at Gwithian or go and experience the Barbara Hepworth Sculpture Gardens and discover the history that lies within the town. There's so much on offer throughout your luxury St Ives holiday and it's all only a moments walk outside. A short walk from the Sail Lofts luxury self catering apartments leads you to the Tate overlooking Porthmeor Beach, exhibiting art throughout the history of the town Tate encapsulates the town's rich heritage that has been intertwined with artists throughout the years. Certainly a must for anyone visiting St Ives. Throughout St Ives there's so many restaurants waiting to be discovered, on the harbour front you have a unique mix of seafood, traditional British menus and Asian cuisine in the newly opened Talay Thai. One step off the harbour's edges on Fore Street there is a wealth of unique choices from Beer & Bird to Firehouse Grill and the always wonderful Seafood Cafe. Staying at the Sail Lofts luxury apartments in St Ives doesn't always mean that you're out on the town every evening, with spacious luxury self catering apartments you can sit back and spend your evenings overlooking the sun set its way across the town and create the perfect end-cap to your St Ives stay. With so much choice on offer and twelve luxury apartments in St Ives it's easy to begin your St Ives adventure this autumn. Those with the flexibility to travel at short notice can take a look at our luxury escapes to St Ives or call the office on 01736 799175 and find out more about our accommodation to kick-start your autumnal escape.